The Faculty Lounge: Probate in the Old South: Who? Probate in the Old South: Who? Now that I've introduced the paper that Stephen Davis and I have out on probate in the old South and written about the county where our study is centered, I'd like to talk a little bit about what we found in those 110 wills we sampled from 1831 to 1845. More men than women had wills probated (85.5% of testators were men; 14.5% were women). Most of the men (71%) were married at the time of their death; none of the women were married at the time of their death. Of the men who were married at the time of their death, almost all (98.5%) left something to their widows. Yet, even among those testators, many left their estates only for their widow's period of widowhood, meaning that if they remarried, they would lose their estate (or part of it). About one third (36%) left their estate to their suviving spouse in either fee simple (24%), or for life (39%) or widowhood (36%), with a remainder to children. When I talk about trusts next week, I'm going to talk about how many testators put property into trust for their daughters, which would keep the property within the family, so that their daughters' husbands couldn't get the property; sometimes husbands did this for their widows, too. Among testators with children, the vast majority who left some property to children (82%) left their property in equal (or nearly equal) shares to their children. Of the married testators (remember, they're all men), 85% left something to children. These data raise some pretty interesting points -- that the probate process was largely, though not exclusively, the domain of men; that men often left their property outright to their spouses, but more freqeuntly they maintained control even after death. The devises illustrate the importance of family -- and not just of family, but of bloodlines. By turning to individual wills, we can put a lot more detail on what testators wanted to happen with their property and how they envisioned the various alternatives, from surviving spouses remarrying to their children marrying. The wills also convey a lot about enslaved families and how the families might be divided among the testators' surviving kin. The testators were wealthy; 78.1% of testators owned at least one person. Some owner a lot more than one person--I'll talk next week about a man who owned more than 100 people, who at one point wanted to free them (not sure that ever happened and therein lies a mystery), as well as another man who owned more than 100 people, who died while on vacation in Virginia. And I'll also talk next week about the purposes for which testators employed trusts. If you're interested in the punchline sooner, though, the paper's here. 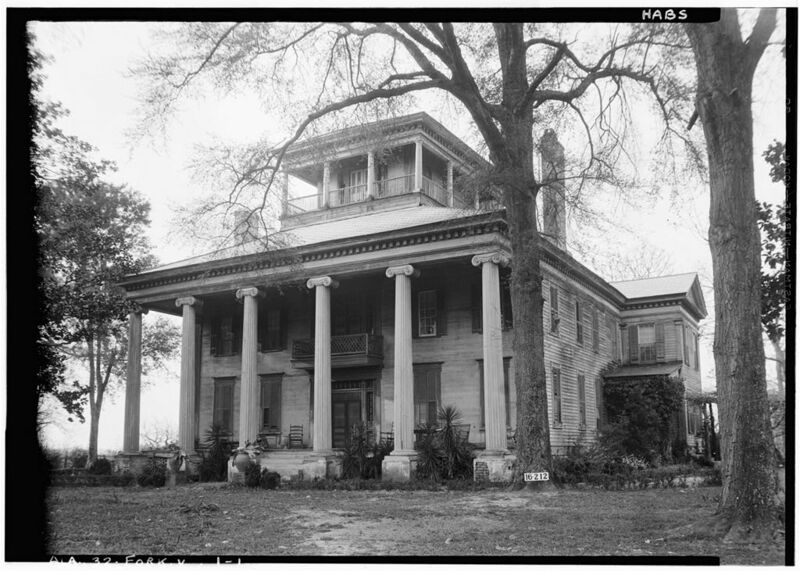 The image, of the Rosemont Plantation in Greene County, is from the Library of Congress' Historic Buildings Survery in the American Memory section.